THERE IS A WELL-TOLD TALE, one shrouded in layers of conspiracy and confusion, of the saga that preceded Alfredo Di Stéfano’s transfer to Real Madrid. The details are different depending on who you believe – and possibly who you support – but the basic gist of the story is that General Franco, the ultra-right-wing dictator who ruled Spain with an iron fist from 1936 until 1975, in some way used his influence to sabotage Barcelona’s move for the player and allow the Madrid club to sign him instead. 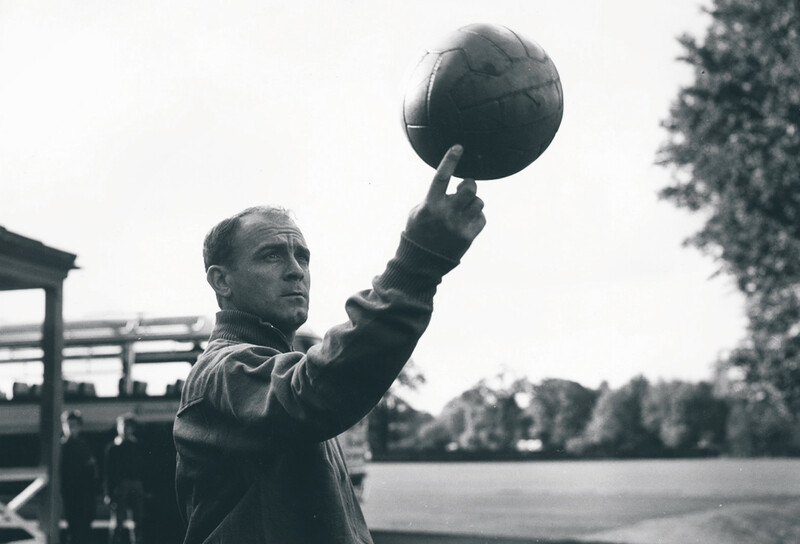 Di Stéfano was at the time widely regarded as one of the brightest prospects in world football, and both Barcelona and Real Madrid were in hot pursuit of the Argentine. His situation was already somewhat convoluted – despite playing for Colombian club Millonarios, his previous club River Plate claimed that the transfer had breached regulations and that they were still his official owners. So negotiations were always likely to be difficult and protracted, even before Barcelona, the early frontrunners for his signature, made their interest known. The circumstances which led to the striker eventually signing for Real Madrid, despite initially appearing set for Catalonia (he even played in a pre-season friendly for the Blaugrana), are certainly murky and difficult to unravel, but the conspiracy theories all point to Franco’s involvement. Some of these theories are more believable than others, with perhaps the most sensational suggesting that the man leading Barcelona’s handling of the transfer was in fact on the dictator’s payroll, and botched the negotiations deliberately in order to clear the path for Madrid. 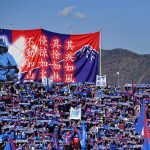 A somewhat more credible theory, and one to which many Catalonian football historians subscribe, is that the Francoist authorities capitalised on the impasse between Millonarios and Barcelona, and exerted pressure on the club to pull out of the deal and allow Real Madrid to sign the player instead. However much truth there is in the story, it is often used by Real Madrid’s detractors – Barcelona chief amongst them – as proof of links between the club and the Franco regime. Real Madrid, it is often claimed, were the dictator’s team and benefited from preferential treatment from the government. There is no shortage of people who would claim that Los Blancos’ success and wealth during that period was in some way owed to their underhand connections with the Generalísimo. There are various reasons that have led to this becoming an established discourse, and the role of Barcelona in perpetuating the myth should not be underestimated. The story of Real Madrid’s connections to Franco fits with Barcelona’s preferred narrative, which likes to see the club as symbolising the established order and the conservative, centralised Spain whereas they themselves symbolise democracy and an independent Catalonia – the plucky underdogs, who succeeded in spite of intense persecution from the regime. Without a doubt, clubs like Barcelona and Athletic Club, who represent Catalonia and the Basque Country respectively, suffered during the regime due to their regions’ demands for their dialects, cultures, and individual identities to be officially recognised. Franco’s Spain was based on centralisation and ethnic, cultural and linguistic homogenisation, and anyone that challenged this was essentially suppressed. It was for this reason that Athletic Club were in 1941 forced to change their name to Atlético Club – Franco had banned the use of any languages other than Castellano, the official Spanish language, and ‘Athletic’ is a Basque word. Los Leones were also forced to abandon the policy which only allowed Basque-born players to play for the club, an important part of the tradition and heritage of the club. On Barcelona’s part, there is a story, also steeped in myth, which sums up the way they were perceived and treated by the regime. The story goes that, in 1943, after winning the first leg of a cup semi-final against Real Madrid 3-0, Barcelona’s players were paid a visit by one of Franco’s cronies, who reminded them that they were only allowed to play at all due to “the generosity of the regime”, and suggested in no uncertain terms that they ease off in the second leg. Real Madrid went on to win that game 11-1, by far the biggest win in Clásico history. Again, it is difficult to ascertain the extent to which the story has been embellished, but it is hard to believe that such a scoreline could have come about entirely naturally. Aside from this, Barcelona were also – like Bilbao – forced to change their name and were ordered to remove the Catalan flag from their crest. Against this backdrop of persecution for regional teams, Real Madrid’s treatment might well have appeared preferential. In comparison to troublesome teams like Barcelona and Bilbao, who implicitly rejected the regime, and whom Franco saw as a threat to Spanish national identity, Los Blancos symbolised the power of centralisation and of traditional Spanish language and culture. By its very nature, a centralising regime is built on the power of its capital, and the Franco regime was centred, politically and economically, around Madrid. For this reason, Real Madrid, as the most successful team in the city, and the most prestigious team of entirely Castilian identity, was always likely to be the preferred team of the dictator. 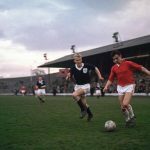 It was for this reason that the Generalísimo paid regular visits to watch the side in the 1950s and ’60s, especially during their most successful period when, inspired by the majestic Di Stéfano, they won five consecutive European Cups between 1956 and 1960. However, the suggestion that their success was in some way owed to the regime is almost certainly exaggerated. The common assumption is that Real Madrid were great because Franco supported them, but it would be more accurate to say that Franco supported them because they were great. Real Madrid symbolised everything that Franco stood for – the power of a centralised Spain, the power of Madrid, and the strength of traditional Castilian values. Real Madrid were a diplomatic and political tool for the dictator, in more ways than one. Firstly, the club’s success, particularly on the European platform, presented an idea of Spain that was far removed from the general perception of the country that was prevalent on the continent. Franco’s regime, although primarily inward-looking, was hugely concerned with the way it was perceived by the rest of Europe, and Real Madrid were the perfect PR tool, projecting an idea of a wealthy, happy and united Spain that was at odds with the reality. Secondly, his association with and apparent backing of Real Madrid could be used implicitly by Franco as a criticism of Catalonia and the Basque Country, who used football as a way of expressing their cultural and linguistic identities and their dissatisfaction with the regime. 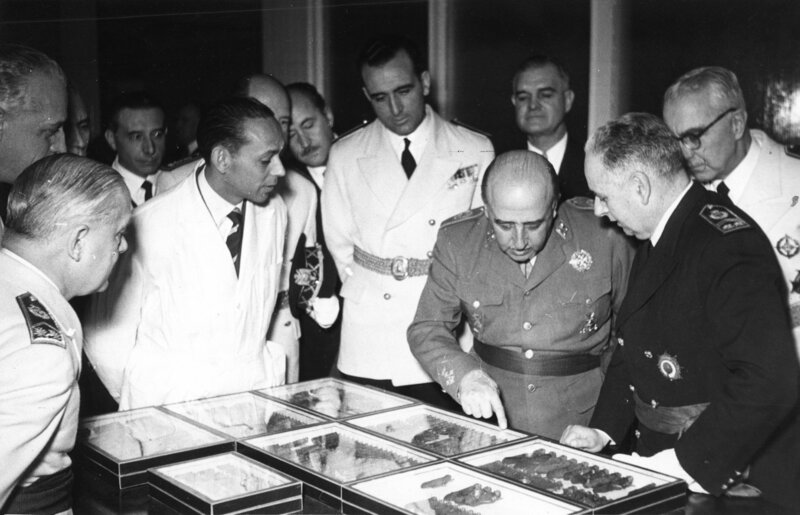 Barcelona and Real Madrid, even then, were by far the most successful teams in Spain and any endorsement of Real Madrid, as Franco well knew, was also a rejection of Barcelona, and conversely of Catalonia, whose separatist movement was by far the biggest threat to Spanish national unity in the dictator’s eyes. Ironically, although Franco’s support of Barcelona was originally used to some extent to demean and diminish Barcelona, the Blaugrana now use it to mock and goad their Madrid rivals. It is the ultimate expression of the dichotomy that Barcelona’s fans like to stress: the wealthy, conservative right-wing Real Madrid against the progressive, liberal, left-wing Barcelona. The Franco regime has such toxic connotations in modern democratic Spain that any suggestion of association or, even worse, cooperation with it is a scathing indictment. So it pays for fans of other teams, particularly Barcelona, to peddle and exaggerate the myth. Furthermore, Real Madrid, like Manchester United in England, are the team that fans of other clubs love to hate, and the supposed connections with Franco are a convenient way of explaining away the club’s unrivalled success – as well as being another reason to place themselves in opposition to them. The myth of the connection between Real Madrid and the Franco regime is without doubt exaggerated. That’s not to say there’s no truth in it – Franco did to some extent align himself with the club – but it would be a huge step to suggest that their success is in some way owed to this connection. Going back to the story of Di Stéfano, the regime may have had some small part to play in the events which led to the striker choosing the Bernabéu over the Camp Nou, but it is highly unlikely that their involvement was a major factor – after all, the government had more important things to be doing than concerning itself with football transfer dealings. Ultimately, the story can be seen more than anything as just another expression of the bitter, political rivalry that has always existed between Barcelona and Real Madrid – one which transcends football and which thrives on stories like these to embellish its rich tapestry.